This Loaded Zuppa Toscana Recipe (Tuscan Soup) is the ultimate creamy, hearty, decadently delicious comfort food, all made in ONE POT, and has been called the “best soup I have ever tasted” by many! 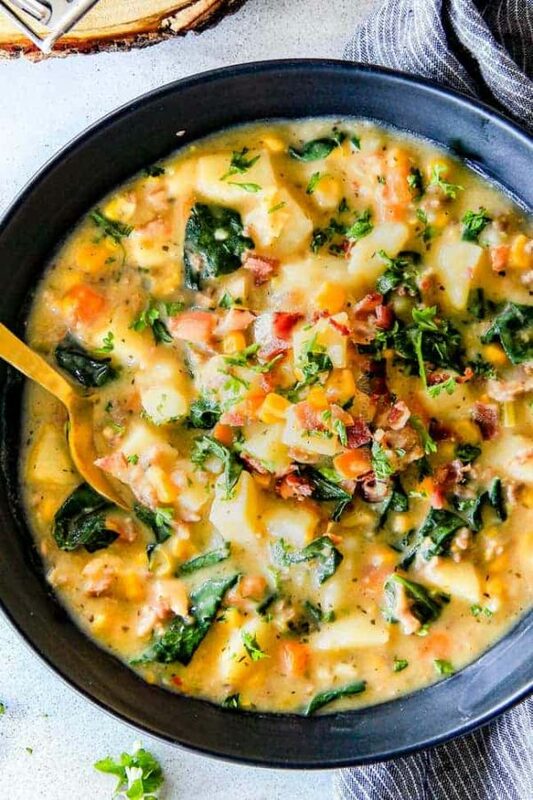 This Zuppa Toscana Recipe is NOT an Olive Garden Zuppa Toscana Copycat, instead it is a BETTER than Olive Garden Zuppa Toscana recipe loaded with Italian sausage, potatoes, bacon, cannellini beans, carrots, corn, and kale/spinach! With one bite, I think you’ll agree! I looooove hearty, comforting Italian soups from my Olive Garden Chicken Gnocchi Soup, to my One Pot Lasagna Soup to my Italian Vegetable Soup to my Parmesan Tomato Basil Soup, but oh my goodness friends, this might be my favorite yet. Get ready to fall in love with richly satisfying Zuppa Toscana soup all over again! 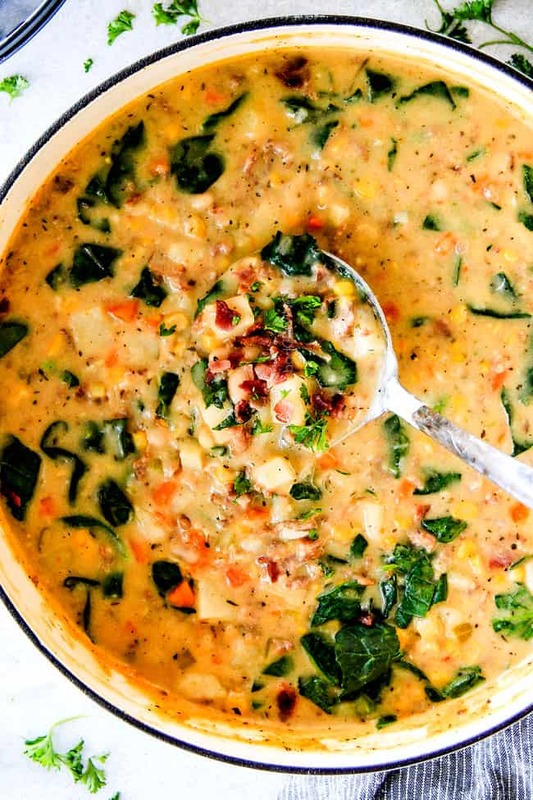 Because this Better Thank Olive Garden Zuppa Toscana recipe is going to have you falling hard. To. Say. The. Least. I love it so much I’ve even created a Creamy Tortellini Toscana Skillet version! If you aren’t familiar with Zuppa Toscana, which literally means, “soup in the style of Tuscany,” it is a Tuscan soup popularized in America by Olive Garden. Classic Zuppa Toscana, however is much heartier, often consisting of not only Italian Sausage, potatoes and kale (like the Olive Garden version) but onions, celery, carrots, cannellini beans, zucchini and powdered chili. If you love Olive Garden’s Zuppa Toscana, I promise you will love my version too! My Zuppa Toscana recipe has all the creamy goodness of Olive Garden’s version but with more veggies like classic Zuppa Toscana to create this truly better than Olive Garden Zuppa Toscana that you can make in ONE POT in your own home while wearing your slippers. 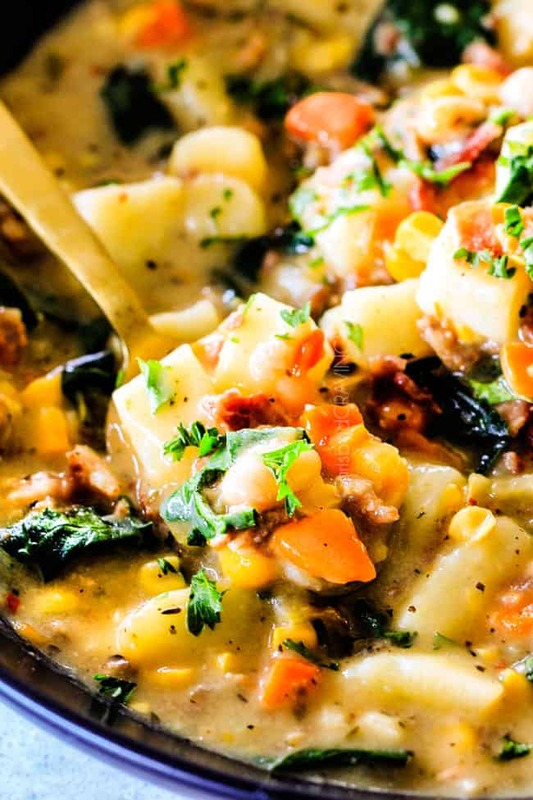 This Zuppa Toscana recipe is mega creamy, bursting with veggies and exploding with flavor. 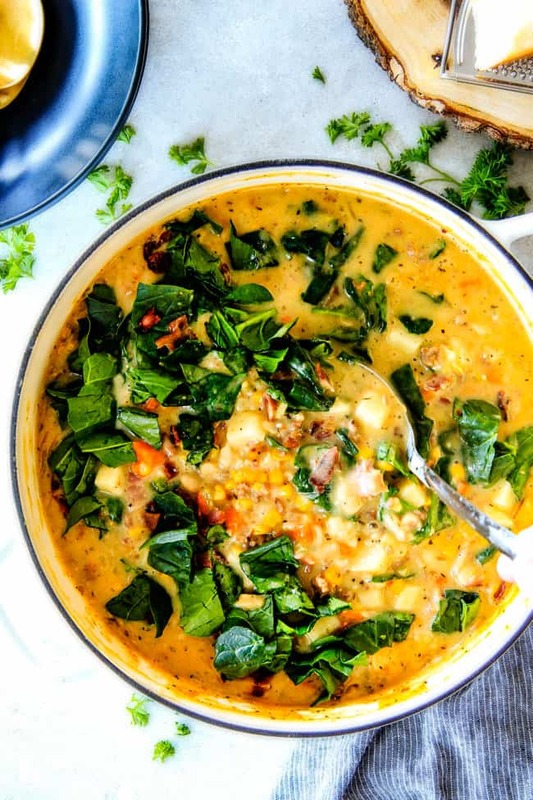 This is one hearty bowl of soup that you will never want to put down! 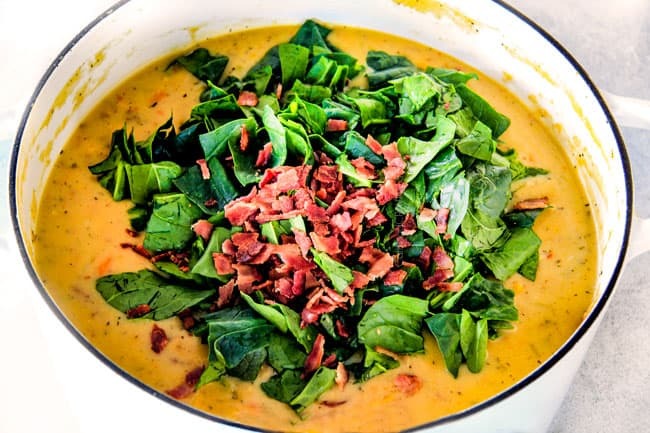 To make this Zuppa Toscana, we start with by cooking our bacon in the same pot we’re going to cook the rest of our soup. We use the leftover bacon grease to saute and infuse our mirepoix with even more flavor. Mirepoix (pronounced “meer-pwah”), is simply a fancy French term for the combination of diced carrots, onions and celery sautéed in butter/olive oil and in this case, bacon fat – mmmm. Every chef will tell you that every great soup or stew should begin with a mirepoix. And I heartily agree. It adds richness and depth of flavor that can’t be achieved any other way. Chopping the celery, onions and carrots is probably the most time consuming part of this whole Zuppa Toscana recipe, but it’s so worth it. You can chop all your veggies in advance or you can even buy mirepoix by the jar and keep it in your refrigerator (I have a few friends with young children that swear by this shortcut)! 2. 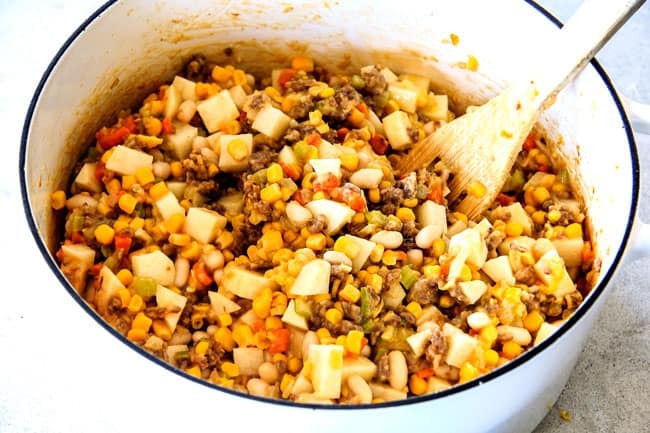 Next, we cook our sausage and garlic then sprinkle in our flour and cook for couple minutes to get rid of the raw flour smell then add our potatoes, creamy cannellini beans, creamed corn (also helps thicken the soup while adding flavor), and sweet corn. 4. Simmer until the potatoes are tender (about 15 minutes) and you can barely resist the aroma escaping your soup pot. 5. Stir in half and half, spinach or kale and half of your chopped bacon. 6. Garnish individual bowls with remaining bacon and as much freshly grated Parmesan you heart desires. Buy/prechop Mirepoix. Chopping the celery, onions and carrots is probably the most time consuming part of this whole Zuppa Toscana recipe, but it’s so worth it. You can chop all your veggies in advance or you can even buy mirepoix by the jar and keep it in your refrigerator (I have a few friends with young children that swear by this shortcut)! Potatoes. You can peel and chop your potatoes in advance and them keep them refrigerated submerged in water so they don’t discolor. Bacon Substitute. Replace bacon with turkey bacon. Italian Sausage substitute. 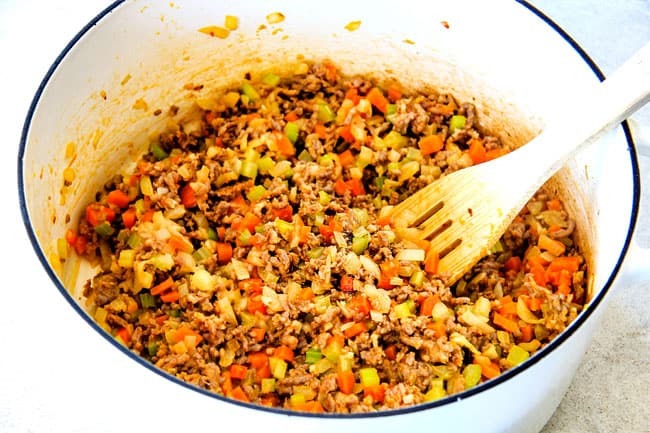 Substitute the pork Italian Sausage with ground chicken or lean ground turkey with beef bouillon, Italian seasoning and red pepper flakes. Half and Half Substitute. Increase the flour to 1/2 cup the cornstarch to 1/4 cup and replace the half and half with milk. More Veggies. Decrease the amount of potatoes and increase the quantity of other vegetables. Can I Freeze Zuppa Toscana Soup? No, I don’t recommend freezing Zuppa Toscana due to the creamy nature of the soup and the potatoes. The potatoes will not freeze well and turn into an unpleasant grainy, disintegrating, mushy texture. What Goes With Zuppa Toscana Soup? Serve Zuppa Toscana Soup with my family favorite Ugly Duckling Garlic Parmesan Breadsticks for the ultimate Better than Olive Garden Zuppa Toscana experience! Cheesy Pesto Pull Apart Bread or Spinach Dip French Bread would also be fabulous. This creamy soup would also be delicious with a big green salad, Cucumber, Tomato Salad or Wedge Salad. See you in my slippers. Want to try this Better Than Olive Garden Zuppa Toscana Recipe? 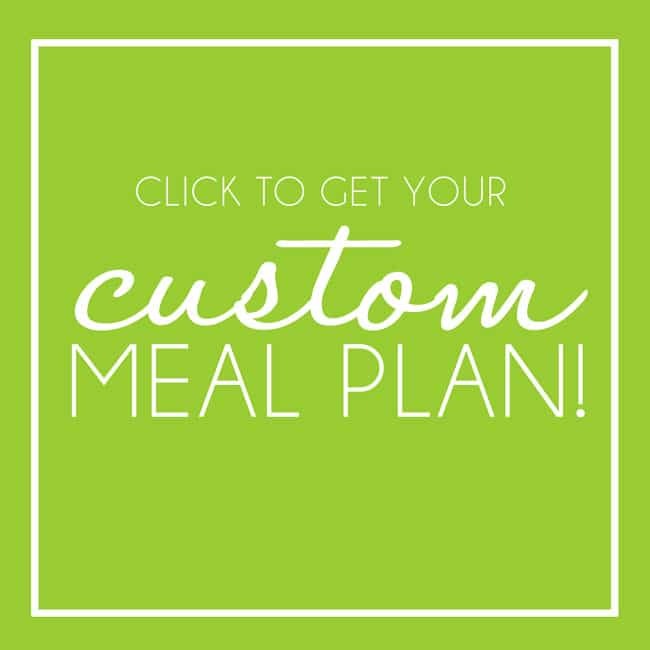 Pin it to your SOUP, DINNER OR BEEF Board to SAVE for later! This ONE POT Loaded Zuppa Toscana (Tuscan Soup) is the ultimate creamy, hearty, decadently delicious comfort food! 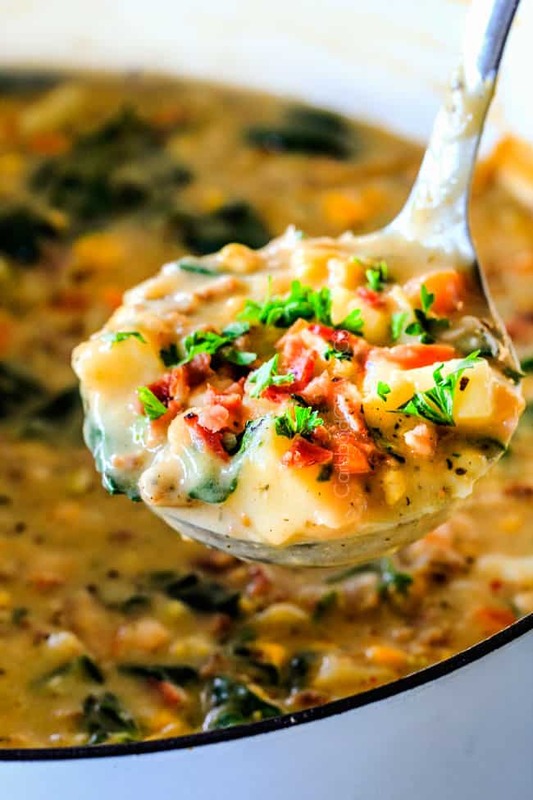 This ONE POT Loaded Zuppa Toscana (Tuscan Soup) is the ultimate creamy, hearty, decadently delicious comfort food and has been called the "best soup I have ever tasted" by many! 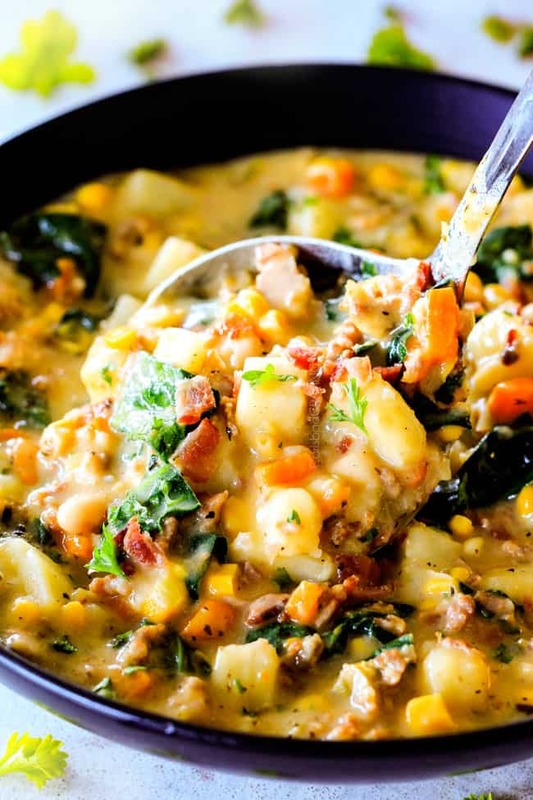 This Zuppa Toscana is BETTER than Olive Garden Zuppa Toscana recipe loaded with Italian sausage, potatoes, bacon, cannellini beans, carrots, corn, and kale/spinach! Cook bacon in Dutch oven/large stock pot until crispy; remove from pot. 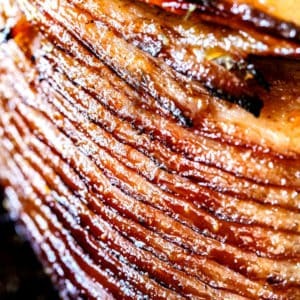 Drain all but 2 tablespoons bacon grease or add additional olive oil to equal about 2 tablespoons. Add onions, carrots and celery and sauté for 5 minutes over medium heat. Increase heat to medium high and add sausage and garlic and cook, while crumbling meat, until meat is browned, about 3 minutes. Sprinkle in flour and cook, while stirring, an additional 2 minutes. Turn heat to low and stir in potatoes, cannellini beans, creamed corn and sweet corn. Add chicken broth. Whisk cornstarch with milk (you can whisk with as little as 1 cup milk, just enough so it dissolves) and add to pot. Stir in Dijon, bay leaves and all seasonings. Increase heat to high, cover pot and bring to a boil. Remove lid and reduce heat to a gentle simmer until potatoes are fork tender, about 15 minutes, stirring occasionally. Stir in half half and half, adding additional half and half or broth if desired for a less “chunky” soup and warm through. Remove from heat and stir in spinach/kale and half of chopped bacon. Garnish individual servings with remaining bacon and Parmesan cheese if desired. 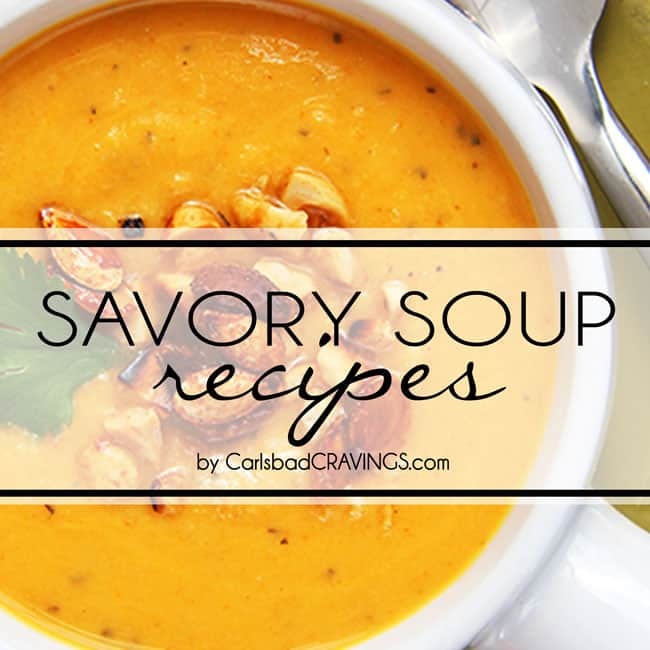 This recipe makes a lot of soup so consider halving the recipe if you don't like leftovers. Thank you Rachel, I hope you can make it soon! 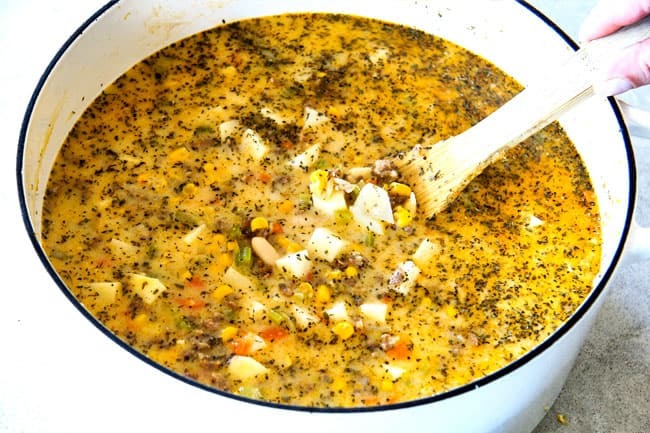 I am so glad you loved the Mexican Chicken Corn Chowder as it is one of my all time favs! As far a substitute, I would just substitute lean ground beef and then add red pepper flakes to taste. Hope that helps, enjoy! I bought hot pork sausage and it tasted perfectly! yum! I’m so happy you loved it! Thanks Adrianna! No, this is not a copy cat of the soup at all. You added too many other things like beans and carrots. I make the copy cat version all the time and mine tastes exactly like the original. Hi Sarah, this is not a copycat but a “better than Olive Garden” version as I explained in the post by adding more veggies that are found in classic Zuppa Toscana. You definitely don’t have to make it but it is truly is amazing. I will never understand the motivation to leave a mean comment that is neither constructive nor helpful to anyone. If you don’t like a recipe — which is being provided to you free of charge btw — just quietly move on. I personally would never eat at Olive Garden these days and think this soup looks delicious and hearty. I can always trust your flavor profiles Jen as you season much like I do in my recipes. Appreciate all your hard work and creativity! Jen, HUGE fan! Made your chipotle chicken empanadas last night and they were DELICIOUS! Here’s the thing – I’m flexitarian (only eat meat sparingly and limit to poultry and fish only) but I love the concept of this soup. Do you think substituting some sort of chicken sausage and using turkey bacon would be okay substitutes? Hi Nicola, I’m so happy you already made my chicken empanadas and they were a hit, thank you! Yes, I think those substitutions would be completely fine. The spicy Italian sausage has tons of flavor so just make sure to add additional red pepper flakes and salt to taste. Can’t wait to hear what you think! Jen, this is another amazing soup. Great texture and wonderful flavor combination. And it makes a ton so that means I have all my lunches ready to go for the week. I’ve had the OG original, which I remember liking but don’t remember the flavor profile exactly. This one just has so much more going on for flavor and texture. I highly recommend. Hi Rachel, thanks for your kind comment and recipe recommendation! I’m so happy you enjoyed it and you are right, it makes a lot – I will make a note of that but, like you, I love the leftovers! Happy Sunday! Oh my goodness!! I finally made this soup and it is amazing!!! However I have so much left, does this freeze well?? Hi Misty, I’m thrilled you loved this soup! Unfortunately, I don’t find soups with potatoes or milk/cream freeze very well, sorry! That’s ok! Just gives me a reason to not cook for a few days lol! Again I have to praise you for this wonderful recipe! lol! That’s why I love soup – leftovers are the best :)! Thanks Misty! I made this soup today and I knew it would be good because let’s face it what’s not to love about a soup with bacon, sausage and cheese. It was a hundred, no, a thousand times better. All the flavors melded together into a fantastic bowl of soup. Yes, it made a lot but I ate a lot. Delicious! Thank you for the recipe. It’s a keeper. Love your comment Pat!!! I’m thrilled it was 1000x better than what you imagined – wahoo! Thank you for making my day! This was ridiculously good. Too bad it doesn’t freeze well but that means it’s the perfect dinner for guests especially during these cold months. (Not that Carlsbad gets too frigid! We are in Va Beach but will be moving back to O-side next summer… can’t wait to be back on the Left Coast! And I’m still gonna make the soup there too!) I love all the seasonings you use… it really makes for delicious food. 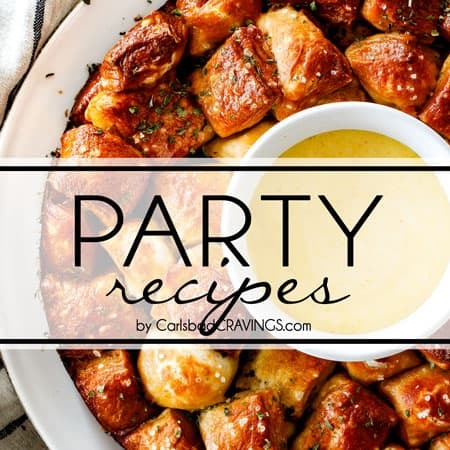 Thanks for another terrific recipe! You are so welcome Michele, I’m so happy you loved it! 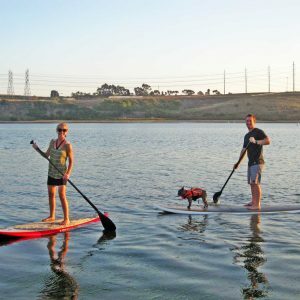 That is awesome you are moving to Oceanside – hey neighbor! We are wimps out here when it comes to cold but I love a good soup in almost any weather! Good luck with your move and future welcome to San Diego! My family loves soup, but can’t have milk. This looks so delicious, could it be made without milk? Hi Susanne, you could use whatever milk substitutes you currently use or you can replace the milk with broth and it will still be delicious, just not creamy. Hope that helps! I use full fat coconut milk in many recipes (including other versions of Zuppa Toscana) and it works great! Don’t worry, there’s no coconut flavor at all! I’ve made several of Jen’s recipes (love this site) and have sat quietly in the background- not a big online poster- but I have to say that this soup is unbelievable. I don’t think I’ve ever made something from this site that I haven’t thoroughly enjoyed, but this soup may be my favorite yet! 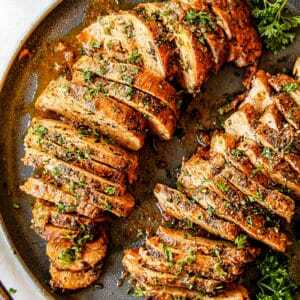 This is really a pretty simple recipe- but everything adds so much flavor. I’m still eating leftovers and am already thinking about when I should make this again. Thanks for the great recipe. Hi Tyler, this is the best comment of 2018 :)! Seriously though, I am so happy you took the time to comment and make my day! 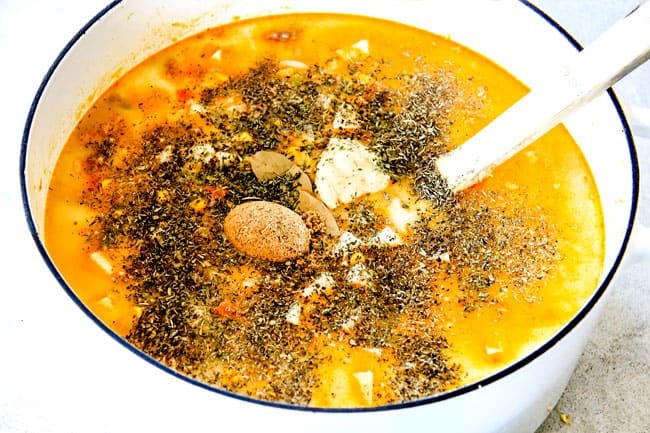 I am thrilled you are loving my site/recipes and found a new favorite in this soup! 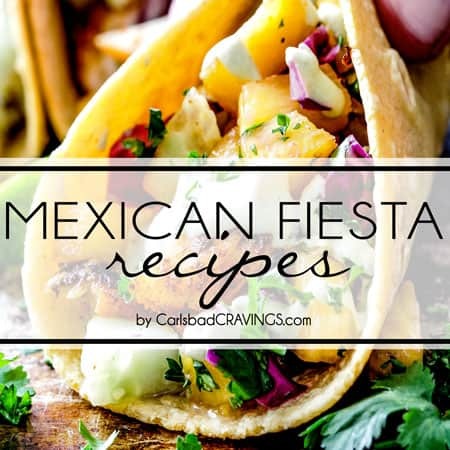 I hope you continue to find more recipes to love! I look forward to hearing what your next new “favorite” is! OMG! So, first came the thai curry soup, which was delicious and hearty. 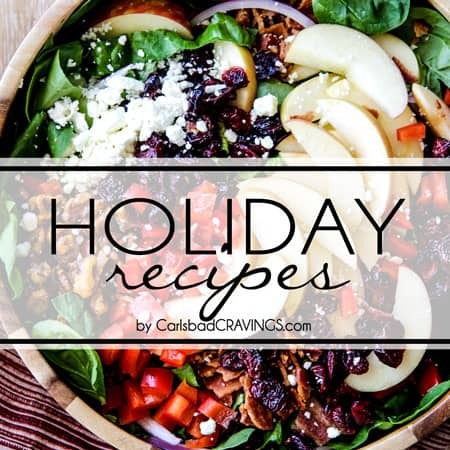 And today is a day of Carlsbad Cravings recipes. I have just finished making this soup, and it is insanely delicious!!!! And for later on, the honey apricot meatballs are cooking away in the slow cooker. 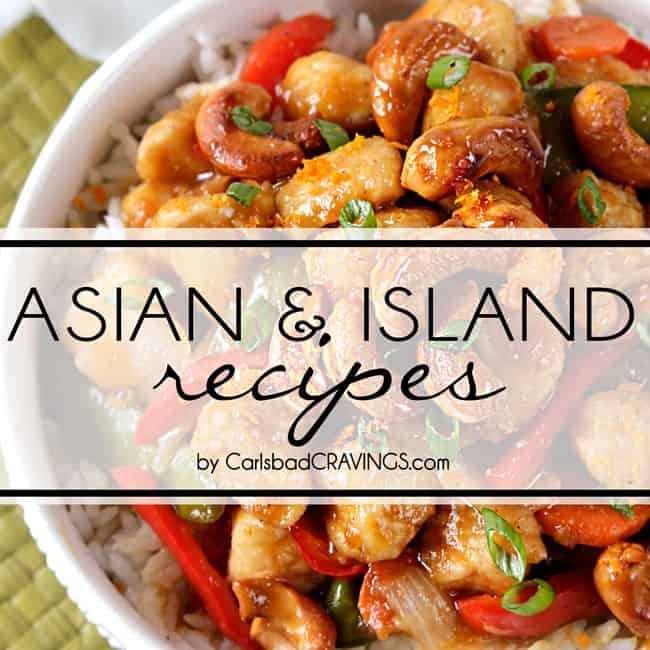 I was going to get ambitious and also try cooking the coconut cashew chicken bites, but for a non-cook, two recipes in a day is killing it. 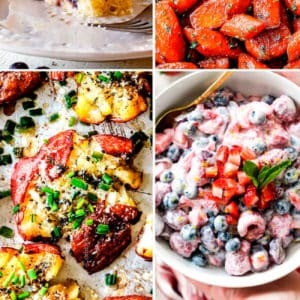 Thank you so much for sharing these delicious recipes! You are so welcome Karen, I am so happy you are enjoying them! I love all the recipes you just mentioned, and that is amazing you are making 2 in one day! Even for an experienced cook more than that is ambitious! I am so glad you loved this soup and I hope you loved the meatballs as well, they are one of my favs! 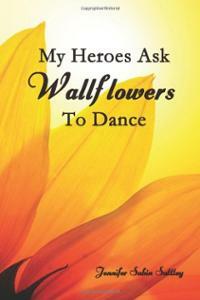 I am looking out the window at the same rainstorm and loving your idea of turkey chili – mmmm! I’m so pleased you loved this Zuppa Toscana, it is one of my favorites! Thank you so much Patti! I’m so pleased it was Christmas worthy! Merry Christmas! Sent it before I was finished writing, I did add the spinach, bacon and half and half, delicious ! I can’t wait to make it again, not enough leftovers with so much love! Posted the picture on Pinterest ! Thanks for sharing a pic on Pinteret Patti! I’m so happy you loved it so much! 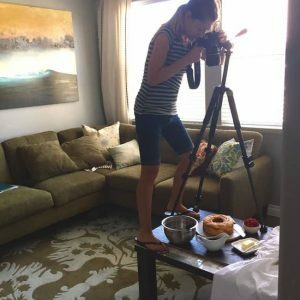 Let me start by saying I love your blog and find your recipes to be delicious and extremely creative! 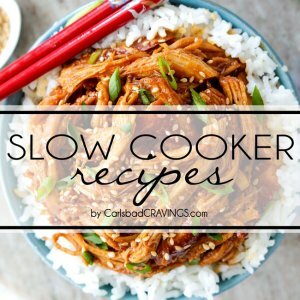 I made this soup last night for my husband and I and after reading a lot of reviews wanted to share some additional feedback. 1) True to name, it is loaded with flavor and ingredients! I didn’t do any prep ahead of time, so it was a little too intensive for a weeknight at our house. Next time I’ll make on a Sunday or plan ahead. 3) I started this in my Dutch oven and had to transfer it to my stock pot. As you mention in the notes, it makes a lot! Readers take notice. Thank you for sharing!! Your recipe files continue to be a favorite in our house. 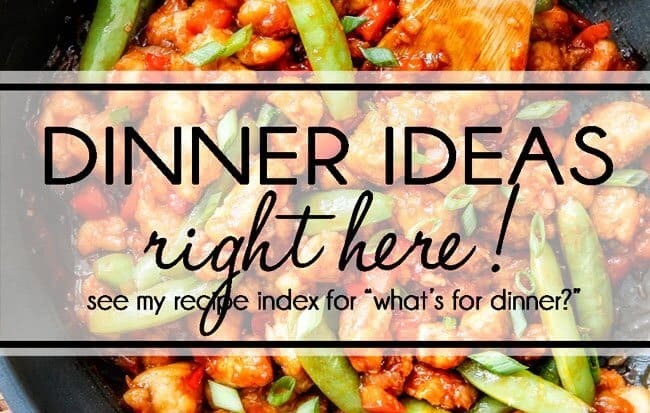 Hi Stephanie, I’m so pleased you are loving my recipes, including this one! Thanks for your feedback! So delicious! Loved by my entire family (including kids). Thank you for this recipe! You are so welcome Steff, I’m thrilled it was a winner with the entire family!